First, MMM apologizes for the brevity of this week's edition, as real life reared its head today. So this week's MMM will be short and sweet! The Tigers are a first place-by-themselves team today after a 3-3 week in which the Cleveland Indians continued to struggle. The highlight was Sunday, when the Tigers rallied for seven runs in the eighth inning to beat the Arizona Diamondbacks, 8-3, on the same day the Tigers retired Sparky Anderson's number. The Tigers clawed back to win the series after blowing Friday night's contest. 3B Brandon Inge returned from the DL and RHP Ryan Perry was recalled from Toledo. IF Danny Worth and LHP Adam Wilk were dispatched to the Ohio town to make room for Inge and Perry. Quite a menu this week. Jhonny Peralta continues to mash. Justin Verlander continued to deal. Miguel Cabrera continues to gather clutch hits. Al Alburquerque continues to strike everybody out. MMM, for the second week in a row, is going with Verlander, who is as good as any pitcher today, and who has been as good as any pitcher the Tigers have had in the past 40+ years. JV vexed the D-Backs Saturday night, a day after Arizona rallied from a 4-0 deficit to nip the Tigers, 7-6. The "you gotta be kidding me" moment was in the eighth, when Verlander faced a no-out, runners on second and third scenario. No worries; JV struck out the side as the Comerica Park crowd of 41,000+ roared its approval. That was some good stuff. Verlander is 6-0 with an ERA of under 1.00 in his last six starts. The man is a freak. And he's also MMM's HotW. Honorable mention goes to Miguel Cabrera, whose clutch, two-out, bases loaded single plated the go-ahead runs Sunday in the eighth inning on a day where it looked like the Tigers might lose, 2-1. Ryan Raburn continues to frustrate MMM with his sorry impersonation of a big league ballplayer. Strikeouts, suspect defense and an overall, season-long malaise is testing MMM's patience. In a week where most in the lineup contributed, Raburn stuck out like a sore thumb, as usual, with his limp noodle of a bat. RR isn't doing anything spectacular defensively to make up for it, either. Who else could be UtM than 3B Brandon Inge, fresh off a bout with mono and a 28 at-bat rehab stint at Toledo? Manager Jim Leyland got very testy before Friday's game when he was asked about Don Kelly's fate in the wake of Inge's return. 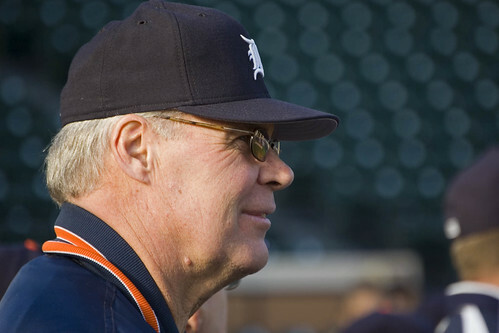 For his part, Inge told the press that he doesn't feel like he should lose his job to injury. All of which, naturally, got sports talk radio aflutter with phone calls and heated discussion about Inge's place in the lineup---or whether he should have one at all. Interleague play takes a pause as the Tigers play a makeup game with the Toronto Blue Jays on Monday. It's Max Scherzer on Monday, gunning for his 10th win, despite an elevated ERA. Then it's back to the NL teams when the Mets and Giants visit, as the Tigers' 10-game homestand wraps up. The Mets feature Jose Reyes, whose name has been bantied about by Tigers fans as someone who should be pursued to shore up second base. Reyes is a free agent at the end of this year. The defending World Champion Giants invade this weekend, but word is the Tigers will miss RHP Tim Lincecum. Oh, what a shame! That's all for this week's MMM! Sorry for the brevity. See you next week! Posthumously is an empty word, full of regret. It’s a parade rained on; a celebration muted. Someone’s being honored in death, and so often the death wasn’t too long prior to the honoring. Sometimes the posthumous honor can’t be helped. Roberto Clemente and Lou Gehrig, two of the youngest Baseball Hall of Fame inductees, come to mind. Clemente of the Pittsburgh Pirates died on New Year’s Eve, 1972, traveling on a doomed plane, trying to bring relief to some earthquake victims. Clemente was 38. The New York Yankees’ Gehrig succumbed to the neuromuscular disease that would bear his name at age 37. It couldn’t be avoided, to pay homage to Clemente and Gehrig after they were taken from us. This Sunday, the Tigers are going to hold a pre-game ceremony and the stories will flow and so will the tears and then the jersey will be retired and the whole thing will have an air of sadness about it—because the honoree won’t be there to see it. The Tigers are going to do the right thing the wrong way, when they retire Sparky Anderson’s no. 11 on Sunday before the game with the Arizona Diamondbacks. It was by design, of course, that the D-Backs are the team in town for this occasion, because their manager is Kirk Gibson and their bench coach is Alan Trammell, two Tigers heroes of the past who were touched deeply by Sparky, and who are influenced by him to this day. But this is all wrong. This is closing the barn door after the horses are out. The Tigers had years to put Sparky’s number out of commission and they failed to do so. The reasoning isn’t very tasteful. Actually, there’s something else wrong with this whole thing. The Tigers should be honoring two men on Sunday: Sparky and Bill Freehan, the old catcher who was no. 11 before Sparky and whose wearing of that number has seemingly been erased from the fans’ memory banks. Freehan was, simply, the best catcher in the American League for most of the 1960s and maybe the best catcher in Tigers history—though Mickey Cochrane supporters would have something to say about that. Freehan, a local kid who went to the University of Michigan, wore no. 11 from 1963-76 and was one of the greatest of Tigers. 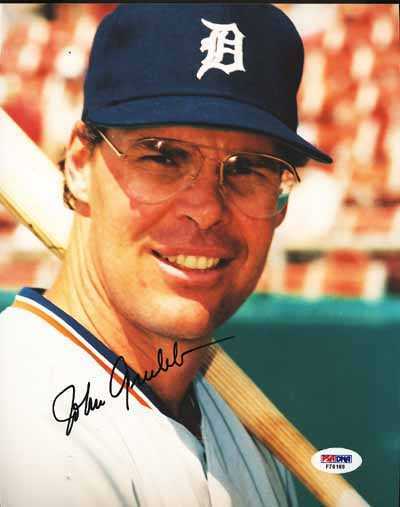 He was a class act who stayed with the team after retirement to instruct the young catchers in spring training and then only left to coach Michigan baseball. Freehan stayed true to both his baseball wives. But Sunday is Sparky’s day, which means Freehan won’t ever get his due. Neither will Sparky, if you want to know the truth. The Tigers blew this one. They had a big lead and frittered it all away. It was a choke job, perpetrated by one man—owner Mike Ilitch. Ilitch hasn’t made too many PR blunders in his 29 years owning the Red Wings and 19 years owning the Tigers. His commitment to Detroit and his generosity to his players have been above and beyond the call of duty. Except when it comes to Sparky Anderson, who died last November after a brief battle with dementia. This is where Mike Ilitch has shamelessly put personal vendetta ahead of his stewardship of the Tigers franchise. The relationship between Ilitch and Sparky got off to a rocky start and didn’t get much better. It all started when Ilitch, as part of his agreement to buy the Tigers in 1992, had outgoing owner Tom Monaghan fire two of Sparky’s close friends—team executives Jim Campbell and Bo Schembechler. Sparky, in his book They Call Me Sparky, said that things changed after Ilitch bought the Tigers and Campbell and Schembechler were canned. Nothing too shocking there; Sparky was hired by Campbell in 1979 and in the two years that Bo was the Tigers president, he and the skipper bonded fast. So no wonder things changed when Ilitch took over and brought in his own people. It got worse in spring training, 1995, when Sparky publicly and vehemently refused to manage the replacement players who the owners were considering suiting up in the throes of the 1994-95 players strike. Sparky dug his heels in and Ilitch didn’t care for that one bit. 1995 was Sparky’s last season managing the Tigers, and he couldn’t get out of town fast enough. When Anderson was inducted into the Baseball Hall of Fame in 2000, he infamously chose to be chiseled onto his plaque wearing a Cincinnati Reds cap. Sparky managed the Reds from 1970-78—just a little more than half the time he spent piloting the Tigers (1979-95). Yet Sparky chose to be immortalized in bronze wearing the Cincinnati “C” instead of the Old English D. Speculation as to why, leads to no unsurprising theories. Sparky could have handled things better, too, I’m sure. It’s a new owner’s prerogative to retain or dismiss staff from the previous reign. Sparky should have been more tolerant of Ilitch’s discretion. But Ilitch is the owner and thus has way more influence over what does and doesn’t get done when it comes to who the Tigers choose to commemorate. Sparky stopped being Sparky, those close to him say, about two years ago. He’d still show up to baseball events but he wasn’t all there. It was evident during the 25th anniversary celebration of the 1984 World Series team. Before that—long before—Mike Ilitch had his shot at retiring Sparky’s no. 11 but chose not to take it. Now, only after Anderson’s death, are the Tigers getting around to doing the right thing. Gibson was quoted in Friday’s Detroit Free Press. It’s going to be the toughest part for everyone—from Sparky’s widow Carol, who expressed similar sentiments shortly after the ceremony was first announced, to the old Tigers players who plan on showing up, to the fans. Here’s something telling: the Tigers actually released a statement on Friday that said Ilitch would appear in person and on the field on Sunday to help retire Sparky’s number. The Tigers needed to issue a statement to confirm something that should be a no-brainer? The reason is simple. The statement was indirect acknowledgement that Ilitch’s past grudge still haunts him, and the Tigers, to this day—or else the statement wouldn’t be necessary. They’re going to put no. 11 into moth balls for good on Sunday. With apologies to Dickens, it will be the best of times, and it will be the worst of times. That’s what happens when you do these things posthumously—especially when it didn’t have to be this way. If you’re scoring at home, the play is E-owner. Excuse me, but who does Jim Riggleman think he is? I mean, besides a career long loser in the dugout who decided to use an 11-1 stretch to blackmail his employer? Riggleman resigned from the Washington Nationals yesterday, abruptly, not long after his team swept the Seattle Mariners to cap an 11-1 run that has put the Nats above .500 for the first time in June in a long time. His cockeyed reason? Because the Nationals wouldn't exercise, on the spot and at his demand, a one-year option to retain him for 2012. Riggleman told Nats GM Mike Rizzo that if Rizzo didn't exercise the option, then the Nationals could go looking for another manager, forthwith. Rizzo balked---I don't blame him---and Riggleman walked. Riggleman was making $600,000 as the major league's lowest-paid manager. The 2012 option also called for a $600K salary. It was a shameful power play attempted by Riggleman, right when the Nationals were tasting some success that had players and fans excited about the Nats' chances to contend for a Wild Card. The Nationals haven't been so much as .500 at the end of a season since they were 81-81 in 2005. The Nationals certainly were at no obligation to rubber stamp Riggleman's option at this time, or at any time, frankly, between now and the end of the season. Rizzo, for his part, said it was too early to make a decision on Riggleman's fate. Riggleman is a career loser. He's tasted very little success outside of his playoff appearance guiding the 1998 Cubs. Yet he put a gun to Mike Rizzo's head. Who's going to hire Riggleman now, after such a stunt? It's not like the guy has a resume that would cause another GM to overlook this little indiscretion. Here's Riggleman explaining himself, according to wire services. "I know I'm not Casey Stengel, but I feel like I know what I'm doing. It's not a situation where I felt like I should continue on such a short lease." Guess what, Jim? That's the contract situation, like it or not. Funny how Riggleman didn't run to Rizzo while the Nats were 27-36, isn't it? It was the ultimate selfish act by Riggleman, to quit on his team in the interest of what's good for HIM. He seized on the first success the team had under his watch---he took over for Manny Acta in 2009---and tried to force his boss's hand. Riggleman may have cut off his nose to spite his face. I can't see him ever getting another big league managing job after this stunt. "I wanted a conversation when we got to Chicago," Riggleman said, referring to the team's next stop to play the White Sox. "Mike said we're not going to do it." That's because Mike doesn't have to do it, Jim. Why Jim Riggleman feels he's entitled, in June 2011, to his $600,000 for 2012, is beyond me. There's 87 games to be played this season. Rizzo was right in exercising caution, instead of Riggleman's option. Meanwhile, Riggleman can take his a-billion-games-under-.500 career record and stew all he wants, at home. The Tigers tied for first place, took first place over by themselves, tied for first again, and then slipped into second place---all within a matter of days. Just another roller coaster week in what has been a roller coaster season. Oh, and Justin Verlander went 2-0, with two CGs and dominant in both instances. Just another week for JV, too. Those rumblings you hear, by the way, are the Minnesota Twins. MMM is almost sheepish to name Justin Verlander as HotW, because it's like shooting fish in a barrel. But MMM has to give credit where credit is due. JV, as mentioned above, tossed two CGs---against the Indians and the Rockies---and both games were crucial to the Tigers. On Tuesday, Verlander lifted the Tigers into first place with a gem in which he didn't allow a hit until the eighth inning. On Sunday, Verlander mesmerized the Rockies, snapping a two-game Tigers losing streak and nipping any nonsense in the bud. Verlander is in a zone that hasn't been seen by a Tigers pitcher since the days of Lolich and McLain. Even Jack Morris wasn't this dominant for this long of a stretch. Honorable mention goes to Alex Avila, who had another solid week and who is stirring All-Star talk and looking more and more like the Tigers catcher for the next 10 years. AA does a great job driving in runners from third base with less than two out; his 71% success rate is 16 points higher than the MLB average. Rick Porcello didn't give the Tigers a chance to win Friday's game in Colorado, the day after the team reclaimed first place from the Indians. The bullpen didn't help, either. But Porcello gets the "honor" for laying an egg at a time when he looked to be finding his groove. This might seem like an unfair GotW, but MMM isn't always interested in justice! Porcello must bounce back on Wednesday in Los Angeles. It's only been a week, but how can MMM NOT put Magglio Ordonez UtM? It's only natural, although MMM has been a faithful and strong Maggs supporter. It's natural because now that Ordonez is back from his extended stay on the DL due to his bad ankle, prying eyes will be on him. He came back last week to mixed reviews---hitting the baseball hard a few times and not getting rewarded, but also looking slow and old on occasion. It's too early to tell what, if anything, Maggs can give the Tigers at age 37. But that won't stop people from voicing their premature opinions. Just listen to sports talk radio if you don't believe MMM. With no other serious concerns aside from the much-maligned Ryan Raburn, Magglio Ordonez is squarely UtM for this week, and beyond. Interleague play continues as the Tigers venture to Chavez Ravine to take on the LA Dodgers Monday thru Wednesday. Yes, the Tigers visited the Dodgers last year, too. And yes, the Tigers entertained the Arizona D-Backs---their other opponent this week---last season as well. How can the IL schedule be so repetitive? Regardless, the Dodgers have been a mess---on and off the diamond. They're going through a nasty divorce with owner Frank McCourt, who's dragged the good Dodgers name through the mud. On the field, the Dodgers are still chasing .500 more than they are first place. Yet they have Matt Kemp, and he's a beast. Kemp has 20 homers, 57 RBI, and is batting .328. His partner in crime, Andre Ethier, has been in a power drought, but is still batting .313. A pleasant surprise has been SS Jamey Carroll, who's batting .308, but he only has eight RBI for the season. Lefty Clayton Kershaw starts Monday. He's 6-3 with a 3.28 ERA and he averages about 9.5 Ks per nine innings. Kershaw is only 23 years old and is a rising pitching star. Over the weekend some old pals return to Detroit---Kirk Gibson and Alan Trammell. Gibby manages the Diamondbacks, and Tram is his bench coach. Gibson has the D-Backs playing surprisingly good baseball, battling for first place in the NL West behind clutch hitting and solid pitching. Look out for OF Justin Upton, who's batting .302 with 12 HR and 13 SB. Righty Ian Kennedy, 26, is 8-2 and is scheduled to start on Sunday---the same day the Tigers take advantage of Gibson and Trammell's presence to retire Sparky Anderson's no. 11. Kennedy leads a D-Backs rotation that features three starters with ERAs of 3.56 or lower: Kennedy (2.98); Josh Collmenter (2.09); and Daniel Hudson (3.56). But the biggest variable is Gibson, who took over last July from A.J. Hinch, commandeering a volatile situation and seizing the opportunity---being rewarded with a new contract after the season. In 2011, Gibby's bunch has been one of baseball's biggest surprises. But those who know and who have followed Gibson maybe shouldn't be so surprised. Bill Murray has nothing on me. I'm living Groundhog Day every bit as much as he did in that movie of the same name. Tigers get hot in June and move into first place, a position they hold until the All-Star break. Stars begin to emerge; Justin Verlander strikes everyone out. The team cleans up in interleague play. Trouble is, we all know how the story ends up---with feats of daring do that cede the division to someone else, usually the Minnesota Twins. It won't be the Twins this season, so there's some drama. Will it be the White Sox? The (gasp!) Indians? I'm telling myself not to get sucked in. You know the saying: Fool me once, etc. The Tigers are rolling. They're 13-5 in their last 18 games and are avoiding the roller coaster feel of April and May, when winning streaks were canceled by losing streaks of the same length or longer. They've moved to seven games above .500 and are alone in first place, natch. Time to put the trays in their upright positions and strap yourself in---it's going to be a bumpy ride. It's still my steadfast belief that the Tigers cannot consider themselves serious contenders---whether it's against the Chisox or the Tribe---until they get second base figured out and/or they identify one more consistent bat in the lineup. I'm also sort of waiting for the other shoe to drop when it comes to Jhonny Peralta and, to a degree, Alex Avila. Color me unwilling to get fooled again. The Tigers, despite their warts, are in a position to make a run, but with holes at 2B, 3B and maybe RF, offensively, their run at first place doesn't seem to be sustainable. The bullpen is still too dicey for my liking, with the exception of Jose Valverde. I worry that hitters will figure out Al Alburquerque, other than how to spell his last name. Color me thrice bitten, four times shy. The Tigers blew playoff appearances in 2007, 2009 and even 2010 with lousy second halves. In each season, they pulled what they're pulling now---a strong June that leads to a promising beginning to July, that collapses into a heap in August and September. The only drama has been, when will the freefall begin? In 2007 it was in August. In 2009 it was in the final two weeks. Last year, it was right out of the All-Star break. And don't forget the 19-31 finish that almost ruined their excellent 2006 start. In fact, just writing about this gives me deja vu most vile. Yet despite the familiarity of this show, I'm still tuning in. First, MMM wants to say that the next time the Tigers see Miguel Olivo and Justin Smoak, it will be too soon. Thank goodness the Mariners aren't on the Bengals' schedule anymore this season! Those guys from Seattle wore Tigers pitching out this year, with Olivo hitting four homers against Detroit and Smoak, five. Both had late, key, two-run homers in the M's 7-3 win on Sunday. But aside from that, the Tigers went 4-2, beating a good Texas team 2-of-3 before coming home to split four games with the Mariners. The Indians continued their freefall, enabling the Tigers to climb into one of those "virtual ties" for first place you hear the media folks talk about. It all sets up a fun three-game set against the Tribe at CoPa this week. MMM is going to be self-aggrandizing and choose Austin Jackson. Why? Because AJ is making MMM look really good. Before the season, MMM wrote a piece that declared Jackson to be the most important hitter in the Tigers' lineup. As Jackson goes, MMM wrote, so goes the Tigers. And yes, MMM was very aware that Miguel Cabrera is also employed by the Tigers. Well, Jackson had a brutal April and the Tigers were highly inconsistent, falling to 12-17---even with Cabby producing. Then Jackson got hot, and the Tigers have now won 23 of their past 36 games---winning even when Miggy was scuffling for a week or so. MMM even heard manager Jim Leyland pretty much echo those thoughts about Jackson's importance to the offense. AJ had another good week and has lifted his BA to .250-ish, which is saying something after batting less than his weight in April. And he's making MMM look good in the process, which earns him bonus points. Honorable mentions: Justin Verlander for getting the Tigers off to a good start against the Mariners on Thursday, and Victor Martinez, for showing why the Tigers signed him to a fat contract as a free agent. As much as MMM would like to pile on Ryan Raburn, the struggling RR bores MMM, frankly. Instead, this week's wrath doesn't go to a player---it goes to certain fans and, more so, to certain media people, i.e. the ones who say that Magglio Ordonez should NOT be automatically re-inserted into the lineup when he returns from his ankle injury (which might be tonight). This is wrong on so many facets, MMM can't type fast enough. Maggs is a career .300 hitter who was at .303 before being sidelined last summer with the ankle injury. He's hit around or above .300 every year he's been in Detroit, including winning the AL batting title in 2007 (.363). And after 99 injury-plagued at-bats this season, people are willing to write him off, or at the very least, treat him like he's a rookie call-up from Toledo? YES, Ordonez should be installed into the lineup, forthwith! If it means sitting down Andy Dirks, so be it. You'd trust Dirks over Ordonez? (Dirks, by the way, had an AWFUL at-bat in the eighth inning Sunday, being overwhelmed on three pitches with runners on first and second and nobody out---a key point in the game at the time). On second thought, MMM isn't even going to debate this. It's not worth the old blood pressure going through the roof. Ordonez plays. End of story. The Tigers need offense, despite their recent pep. I'll take my chances with a career .300 hitter---even one who's 37 years old and coming off an ankle injury. Daniel Schlereth, there might be a bus ticket to Toledo with your name on it. MMM says keep your good eye on Schlereth, the maligned lefty out of the bullpen, who comes into games and promptly walks batters or hits them. Leyland gave Daniel another shot Sunday, having him start the eighth inning with the Mariners ahead 3-2 and two lefty hitters scheduled to start the frame. Schlereth retired the first, then walked the second on four pitches, ending his day. Joaquin Benoit then gave up a two-run homer to Olivo to move the Mariners ahead, 5-2. Schlereth, for quite some time now, has been finding the strike zone as elusive as Barry Sanders. MMM can't help but think that Schlereth is working on borrowed time. In fact, MMM would not have been surprised if it was Schlereth who got sent to Toledo to make room for Ordonez (Enrique Gonzalez was demoted instead). With the emergence of young southpaws Charlie Furbush and maybe even Adam Wilk in the bullpen, Schlereth might get squeezed out if he doesn't start throwing strikes, and in a hurry. Don't believe your little pocket-sized Tigers schedule: tonight is NOT an off day. The Tigers play a makeup game against Tampa at home before welcoming the Indians to CoPa. The weekend will find the Tigers in Denver, of all places, playing the Rockies. The Rays are still the Rays---dangerous and in the hunt in the AL East. The Tigers went 2-0 against them last month, with the third game being rained out. MMM hopes the Tigers won't be looking too far ahead, when the Indians invade beginning tomorrow. After a 30-15 start that was far beyond their reach, the Tribe has plummeted, their seven-game lead over the Tigers vanishing. The Indians are 4-14 in their last 18 games, their offense soon to be on the side of a milk carton. MMM read with glee some of the comments from Indians fans at www.cleveland.com (their version of MLive) the other day and it's funny to see them basically giving up on the season already---and they're tied for first place! The series with the Indians might be the first official "big series" at CoPa this year, because first place is squarely (albeit temporarily) on the line. Should be fun, and interesting to see if the Indians continue to play bad baseball in Detroit. As for the Rockies, they got off to a fast start but have struggled of late. Baseballs sometimes fly out of that ballpark rapidly, so Tigers pitchers must keep the Rockies from going deep too often. BTW, Verlander gets two starts this week: Tuesday against Cleveland and Sunday in Colorado. I come to bury Ryan Raburn, not to praise him. May as well get that out of the way, forthwith, because I don't want you under any illusions here. Those who are here to read a balanced, Devil's advocate piece about Mr. Raburn, the Tigers' mockery of a second baseman, click away, right now. Hit "back" on your browser. Anything---just get the hell out of here. Listening to Pat Caputo on 97.1 The Ticket this morning, I was told that the reason the Tigers keep Raburn on the roster is, frankly, because of money. Raburn's contract, set to pay him about $2 million next season, is signed, sealed and delivered. Caputo said that the choice is simple: keep Raburn or release him and eat the contract. Let me tell you, it would be the best $2 million the Tigers have ever shoved down their gullet. This shouldn't even be an issue. Ryan Raburn isn't a big leaguer. At least, not now, he isn't. Certainly, he's not an everyday second baseman. I've seen some hack jobs and frauds come through Detroit: Nate Colbert, Rob Deer, Bip Roberts, to name a few. But never have I seen a player get as much playing time as Raburn gets with a strikeout-to-walk ratio of---are you sitting down?---66-to-8. Let me repeat: 66. To. 8. That kind of ratio simply cannot be tolerated on any big league player's stat line---at least not of any player who's playing for a team that is in playoff contention. The Tigers are trying to pull a real humdinger if they think they can win even the putrid AL Central with an infield that's half made up of Raburn and Don Kelly. But this isn't about Kelly, who currently is the team's starting third baseman by default. This is about Raburn. Raburn brings nothing to the table these days. His glove, I've written before, was welded, not laced. He doesn't run particularly well. But it's his bat that is the most offensive part of his game. Big league hitters need to make contact, at least some of the time. Home run hitters are prone to the strikeout, but they're home run hitters. You can live with 150 Ks if the dude is also smacking 30-40 big flies a season. Raburn, in 185 at-bats this season, is hitting .200. But that's not the worst of it. There's the 66-to-8 ratio previously mentioned, and the home run total is a mere five. Raburn has nearly twice as many strikeouts as he has base hits. If he draws a walk, it's by pure accident or because the pitcher's arm is dangling off his shoulder. Raburn is a sucker for the high fastball, above the letters and right about at his eyeballs. He's also prone to being called out on strikes, and swinging at pitches out of the strike zone. Did I leave anything out? Raburn's an abomination, a disgrace as a big leaguer. The fans at Comerica Park, who have amazed me by their Job-like patience in the past, have taken to booing Raburn with zeal in recent games. Manager Jim Leyland says he's sitting Raburn down tonight against the Seattle Mariners. "I'm going to get him away from it and see what happens," Leyland said. "I don't think there's any question that he's fighting himself." Leyland is at his wit's end with Raburn. The manager even pinch-hit Ramon Santiago for Raburn in the ninth inning of Friday night's loss to the Mariners, after Raburn had a three strikeout night. There's no good reason that Raburn should occupy a spot on the Tigers roster, including his contract situation. If Gary Sheffield's monster contract can be devoured, as it was when the Tigers released Gary just before the 2009 season, then certainly Raburn's can, too. The Central Division has never been as ripe for the taking as it is this season. The Tigers' main competition, the teams we all thought would be their nemesis---the Chicago White Sox and Minnesota Twins---are down in the dumps. The Twins aren't coming back. The White Sox are still a distance from .500. The Cleveland Indians are taking their predictable plunge. The Tigers just have to win this division, their first in 24 years. But they can't do it while playing a "second baseman" who hits .200 and who strikes out more than eight times for every time that he walks. Oh, why did the Tigers let Placido Polanco walk away from them after 2009? Forget trading Raburn, if that's what you're thinking. Who would have him? He has no trade value. His numbers aren't written in invisible ink, you know. The Tigers are trying to hide Raburn, but that's impossible. No matter where they bat him, a rally inevitably seems to find him---and that rally promptly has its air released from it, replaced by the air of Raburn's bat swooshing into nothing. Raburn had a good second half last year. But this is big league baseball, not Little League or high school baseball. This is the big time. Professional sports can be a heartless business, because it's so predicated on "What have you done for me lately?" Last year was last year. Those wins don't get added to this year's. And Raburn's numbers can't be blended into this year's to dilute their stench. If the Tigers are serious about winning---and I mean truly serious---then they'll do things befitting that seriousness. That means making decisions that are based on performance, not contracts or what someone did last year. Magglio Ordonez is coming back soon from his ankle injury. The media have speculated that someone who "doesn't deserve" to be optioned to Toledo will be lopped off, i.e. Andy Dirks or Danny Worth. Two things: the Tigers are carrying one more relief pitcher than normal; and why does the optioned player have to be Dirks or Worth? Ryan Raburn ought to be cut the moment Ordonez sets foot in the Tigers clubhouse, which could be as soon as Monday. These are the big leagues. And this is a pennant race in the making. The Tigers aren't bottom feeders who can afford to wait to see if Raburn will come around. We're into mid-June, almost. In the big leagues, if you don't perform, they get rid of you and give someone else a shot. The Tigers are insulting the intelligence of their fanbase if they think they can trot Ryan Raburn out to second base every day, with his .200 average and 66-to-8 walk-to-strikeout ratio, and call themselves a playoff contender. Shame on them if they think that. And shame on them if they keep Raburn much longer, whose impersonation of a major league baseball player wouldn't even last five minutes on the stage at Mark Ridley's Comedy Castle on amateur night. Jim Northrup was sitting across from me and I was glad that his anger wasn't directed toward me. And he was angry, no question about it. We all know about the epic triple that Northrup, who died yesterday at age 71, hit in Game 7 of the 1968 World Series. The two-run drive off Hall of Famer Bob Gibson broke a scoreless tie and was the eventual series-winning hit. It was the only triple that Gibson surrendered in 1968, when he posted a miniscule 1.12 ERA. So here it was, 30 years later, and I casually mentioned to Northrup, who was co-hosting a TV show I was producing at the time, about the triple. Specifically, the part about the Cardinals' Curt Flood slipping as he gave chase. I might as well have poured gasoline on a raging fire. It was obvious that Northrup was tired of hearing, for 30 years, that the triple was a triple mainly because Flood, who was an excellent center fielder, stumbled. The Gray Fox launched into an expletive-filled tirade, insisting that there was no way that Flood could have caught that ball, regardless of the stumble. Northrup's face got as red as raw beef the more he talked about it. I didn't know whether to laugh or flee. "Look at the film!" I remember him barking. "Look at the film!" Denny McLain, whose words should rarely be trusted, actually spoke the truth yesterday in the wake of the news of Northrup's passing. Denny concurred that Flood would never have caught the ball; it was hit far too hard and far too long. I could see the 30 years of frustration and anger pouring from Northrup as we chatted that afternoon in 1998 before a taping. Eight years later, Northrup and I crossed paths again as he participated in a baseball roundtable that included sportswriter Jerry Green. It was for a magazine I was editing. The topic was interleague play and Fox was just as outspoken as ever. Jim Northrup always got his hacks in---whether it was at the plate or at the table. I remember conversing with him on the phone in advance of the roundtable and it was free form Northrup. He was in a mood to talk, as usual, so I obliged, feeding him batting practice pitches and marveling at the results. I found out that he hated playing for Billy Martin because, according to Jim, Martin was quick to take the credit and even quicker to blame his players and others when the Tigers were in a losing funk. I found out that when Norm Cash was released in 1974 (the day after my birthday), Norm found out on the radio, driving to the ballpark. Northrup told me that he was so upset about the way his friend and teammate was cashiered, that he burst into manager Ralph Houk's office to vent. The next day, Northrup was traded to Montreal, and he told me that he considered retiring, right then and there. But Expos manager Gene Mauch convinced him to report. More stuff I never knew. Late in that 1974 season, the Baltimore Orioles picked him up for their pennant push. Northrup went 4-for-7 as an Oriole. He played one last season for the Orioles, then retired. I found out that Northrup loved playing for Earl Weaver in Baltimore, which is funny because at first blush Billy Martin and Earl Weaver seem like the same guy. But Northrup admired Weaver's fairness and integrity. Northrup had some nasty words for some of his '68 teammates, but I won't go there. I asked him about Cash, my favorite Tiger. To my relief, Northrup had nothing but good things to say about Stormin' Norman, who Fox called a great teammate. Northrup, in fact, told me that HE was the one who suggested interleague play, way back in the late 1960s, early-1970s. He said that GM Jim Campbell told Northrup that MLB already had interleague play: spring training games. Then came some more colorful words from Fox's mouth. Northrup was a Michigan kid and, like Cash, Bill Freehan and others, Northrup starred in football as well as baseball in high school. I've been dreading the day when the '68 Tigers start to go, and by that I mean when we begin to read about their passing every couple of years or so. We lost Ray Oyler first, the good field, no hit shortstop. Oyler died in 1981 of a heart attack at age 42. Then it was Joe Sparma, who pitched the game that clinched the pennant for the Tigers. Sparma wasn't even supposed to pitch that night, but took the ball when Earl Wilson complained of shoulder discomfort. Sparma also died of a heart attack, in 1986 at age 44. Then the cruelest blow, to me. Norm Cash, the hard-playing, hard-drinking first baseman, died in October 1986 at age 51 after slipping off a dock up north and drowning. Almost guaranteed that Norm had been drinking that night. But Oyler, Sparma and Cash were anomalies. The core of that 1968 team is, thankfully, still around. But they're either in their 70s or approaching, and it seems athletes don't live as long as the rest of us, so who knows how much longer we'll have them? Now Northrup is gone, and he'd been in poor health for quite some time. Apparently, according to McLain, Northrup was involved in a game of hearts at his assisted living facility last week and gloated so much over his victory that his playing partner threw the cards in Jim's face. The Tigers ran into two teams that they've owned lately, that's what happened. Of course, except for the Kansas City Royals, everyone has owned the Minnesota Twins this season. Teams haven't been able to line up quickly enough to buy a piece of the Twinkies so far. The Tigers have also been dominating the Chicago White Sox lately, so maybe it's no surprise that the Bengals enjoyed a fine 5-1 week. Speaking of owning, good thing the Tigers didn't go out and buy Adam Dunn. eh? It was a week that saw the Cleveland Indians begin the nosedive that we were all hoping/waiting for, as the Tigers drew to within 2.5 games of the Tribe, who've lost nine of their last 12. MMM is pleased, though he's still concerned that the Tigers tend to rely too much on the longball for their offense. How about this Al Alburquerque guy? The Tigers may have found their new Joel Zumaya. All Alby does is come in, strike out guys, and leave runners on base, where they wither and die on the vine. He logs about two strikeouts per inning, basically by throwing two pitches: a fastball and a slider. But that's really a misnomer, because Alby's slider acts differently depending on how he throws it. Sometimes, it even looks like an old-fashioned breaking ball of Bert Blyleven vintage. AA got victories in consecutive games against the Twins last week in very similar fashion: by working the eighth inning, striking out guys, and enjoying the fruits of an offense that was heroic late. There's no better way to douse a fire than with strikeouts, and Alby does that better than anyone. He'll turn 25 this Friday, which is exciting if he's the real deal. Logic says that big league hitters will be on to his variety of sliders, so command of the fastball is essential, which hurt him last year in the low minors in the Colorado Rockies system. But the Dominican Republic kid wowed scouts in Winter League ball, and teams were lining up to sign him. The Tigers horned in on him first, however. Alby is almost a guarantee to get you a strikeout when you badly need one. He was rewarded last week with two victories. With Ryan Perry losing his way and being demoted, Alby is even more crucial to the Tigers bullpen. 5-1 weeks don't lend themselves too well to goats, and as hard as MMM tried to think of one, no individual truly stood out. So in a rare instance of humanity, MMM is declaring that there was NO goat last week. Even Ryan Raburn redeemed himself with a grand slam on Sunday. But don't expect too many goat-less weeks, as much as MMM would like to see it. Last week, MMM put third base UtM because of the apparent platooning of Don Kelly and Brandon Inge. Well, Inge is on the DL with mononucleosis, so it looks like MMM was prophetic in placing 3B UtM. But the same position can't be UtM two weeks in a row. It's an unwritten rule. Actually, now that it's been typed, it is a written rule. This week, MMM is putting RF Magglio Ordonez UtM. Maggs is returning this week from the DL with his bad ankle, and he had a brief rehab stint with Toledo over the weekend. which went pretty well. It's fairly easy to make the case for placing Ordonez UtM. If Maggs' bat can come around, and he can be reinserted into the #3 spot in the order and be productive, how much better does the Tigers' offense look? Tigers fans are collectively holding their breath that Ordonez can return to health and be, once again, a key offensive component. That question begins to be answered this week. This maybe isn't the best time to play the Texas Rangers, who just swept the Indians in four games and who have been on a tear for about three weeks. But the schedule says you have to play them, so here you go. The Tigers took two of three from Texas in April in Detroit, with both wins coming in walk-off fashion. Not that that means anything, but that's the season history thus far. But the Rangers were playing well then, too. Then come the Seattle Mariners for four games at CoPa. What kind of a schedule has the M's visit Detroit twice and the Yankees, Red Sox and Blue Jays once? Oh well. The Mariners, of course, swept the Tigers in three games in Detroit in April, something unforeseen, as the Mariners were a bad team last year and started off as a bad team this year, too. But the Mariners aren't a bad team right now. They are, surprisingly, bobbing around .500, mainly because they have two studs in their rotation: Felix Hernandez and Michael Pineda, both of whom the Tigers will see over the weekend. The Tigers are three games behind the Indians in the loss column, something that needs to be looked at a little more closely now as we sneak up on the halfway point of the season. Another good week will not only put the Tigers further away from .500, but will continue to put pressure on the Indians in a race that may be of the two-horse variety this summer.